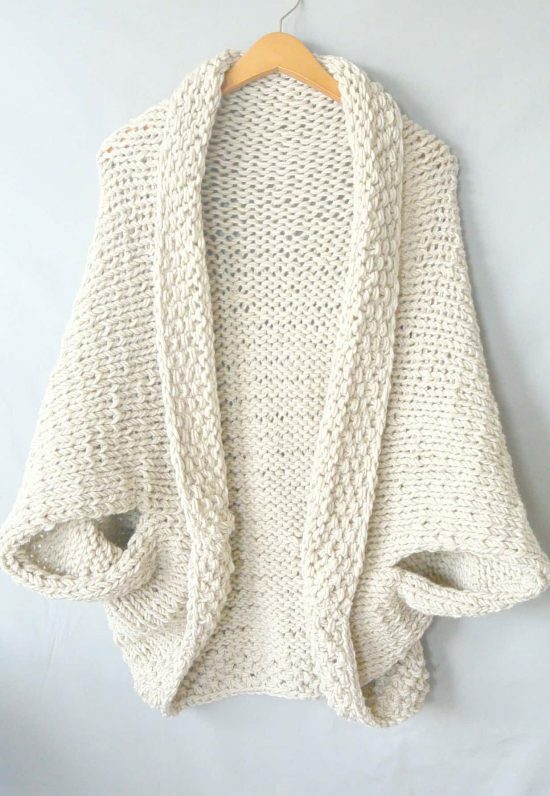 If you love to knit, you will not want to miss this gorgeous Cocoon Shrug Knitting Pattern Free Tutorial. Be sure that you check out all the fabulous details now. Finding great knitting patterns is a lot harder than it looks. In fact, we are asked continuously for more ideas, but they are in short supply compared to crochet. We’re not sure why. So, when something fabulous presents itself, we are on to it. Jessica from Mama in a Stitch is extremely talented and has some wonderful projects. 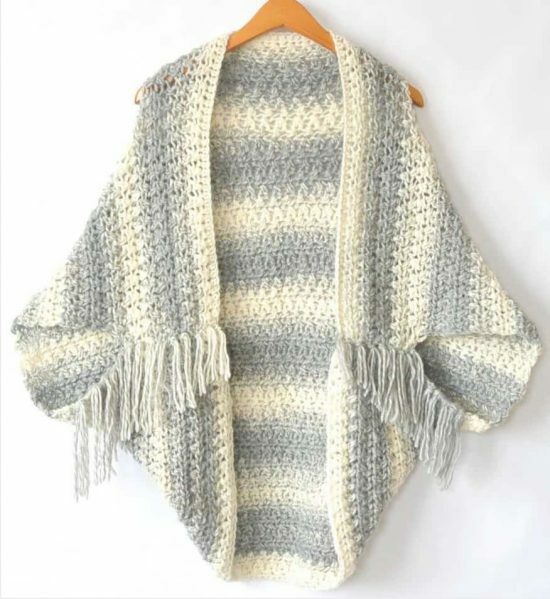 She first came to our attention with her Crochet Cocoon Shrug Pattern and we were thrilled when we saw her knitted version. 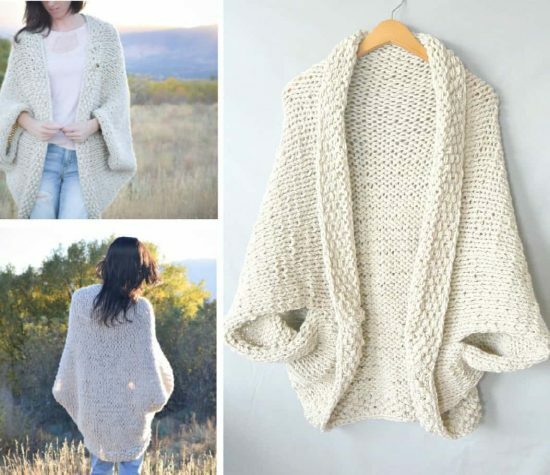 Now, make your own with her free pattern! Link to her free written pattern is at the end of our post.